Baaghi Drama on Urdu1: Kanwal Shows Her Tough Side With a Huge Cat Fight! Baaghi drama on Urdu1 has literally wowed us with the latest episode. The story keeps getting better and better, making us hooked to the enthralling plot. Kanwal is shattered after her return from the village. She gets the shock of her life witnessing Abid with another woman and deep down her heart craves to hold her baby in her arms. You can actually feel Kanwal’s pain. Her expression and dialogues strike a chord inside, making one emotional for her anguish. Rehan tries to encourage her to come out of her melancholic mood so that she can focus on her main aim. Sometimes, he is soft towards her but other times, we see him getting irritated by Kanwal’s depression. Eventually, he gets harsh towards her and being a true friend, he tries every possible way to help her out like a protective brother. Meanwhile, Baloch tries to find employment and temporarily works as an assistant on a bus. To no one’s surprise, she is subjected to men gawking at her, poking her to the point she loses her patience. Fortunately, she sees the commercial of “Desi Kudiyaan” on television. Enticed by the TVC, she thought this is the right opportunity for her and transforms herself for the show. Rehan tries to stop her, bet Kanwal shuns him away as she finally gets the chance to leave him for good. Meanwhile, the interviewer played by Mani is pretty tough with her and insults her for her ‘gulaabi angrezi’. Shockingly, she even gets into a catfight with one of the contestants, which was surely the highlight of the episode. Here, we see a never- seen- before side of Kanwal as she gets super feisty and all set to beat the girl into a pulp. 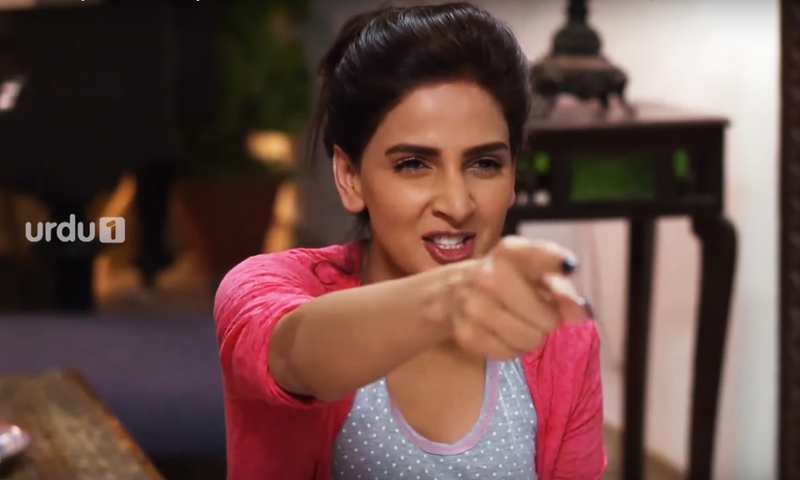 Saba Qamar aced this scene with her Qandeel Baloch-esque antics. It gave us a flashback to the social media star’s shenanigans and our starlet did complete justice to it. Making it to the contest, her rivals clearly hate her. In order to have a fair chance to compete with them, she lies about her background, forging tales of living in America. What she doesn’t realize is that she becomes as the ultimate wannabe Burger Bachi and a laughing stock on the set. This episode was enjoyable to the fullest and made us laugh at so many moments. Qamar has surely studied the life of Qandeel to the fullest and it is apparent in her performance. However, the plot deviates from the real version but nevertheless provided good entertainment. What do you think about Baaghi’s recent episode? Let us know in the comments below. Previous articleAtlas Honda Bikes Being Sold in Black Market!